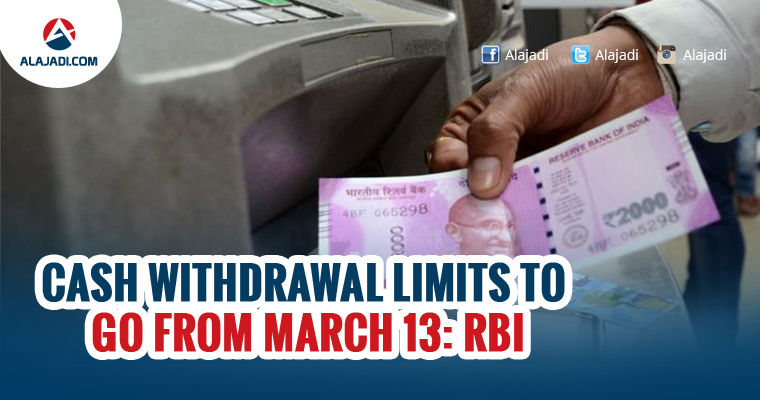 You can withdraw as much cash as you want from March 13. 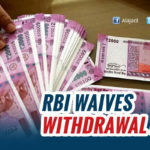 The Reserve Bank of India yesterday said it will remove the cap on cash withdrawals from saving bank accounts in two phases since it expects cash supply to improve by next month. 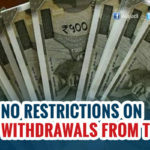 In the first phase, the withdrawal limit will be raised to Rs 50,000 from Rs 24,000 a week, effective February 20. 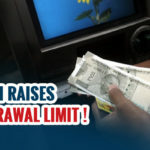 The limits on cash withdrawals from savings bank account will be withdrawn completely from March 13. As of now, there is no limit on current account and there is a cap of Rs 50,000 for farmers a week and Rs 2.5 lakh for marriage. As on January 27, RBI said currency in circulation was worth Rs 9.92 lakh crore. After the note ban on November 8, Reserve Bank had capped withdrawal limits on ATMs and bank branches. It raised limits from Rs 2,000 a day to Rs 4,500 a day to Rs 10,000 a day while maintaining the overall weekly ceiling of Rs 24,000. The central bank, on February 1, lifted the cap on withdrawal from cash-vending machines, provided it was within the weekly limit. The restrictions were put in place after the government scrapped old Rs 1,000 and Rs 500 notes on November 8. 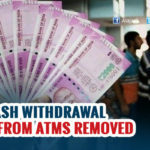 While the ATM withdrawal restrictions initially were Rs 2,000 a day, it was gradually increased to Rs 10,000 a day. The central bank lifted all restrictions on current and cash credit accounts on January 30. In a news conference on Wednesday, RBI Deputy Governor R Gandhi said the lifting of restrictions was being done in line with the pace of remonetisation. It also added, Fake Currency in circulation are just photocopied as printing of new currency notes isn’t an easy job.